Last Sunday We filmed Marcus and Toshira's wedding at the Lightner Museum in St. Augustine FL. The couple had a wedding party of 10 bridesmaids and 10 groomsmen. The Lightner Museum was expansive and beautiful and with the wedding party lining the stairs is was quite majestic and beautiful. After a beautiful ceremony with creative and moving vows (see short teaser film below), the reception got into full swing. Toshira changed into a stunning sparkling and chiffon dress to match the color of the flowers. One remarkable part of the evening was when Marcus's Fratnernity did the celebratory dance and it was amazing. See film below. 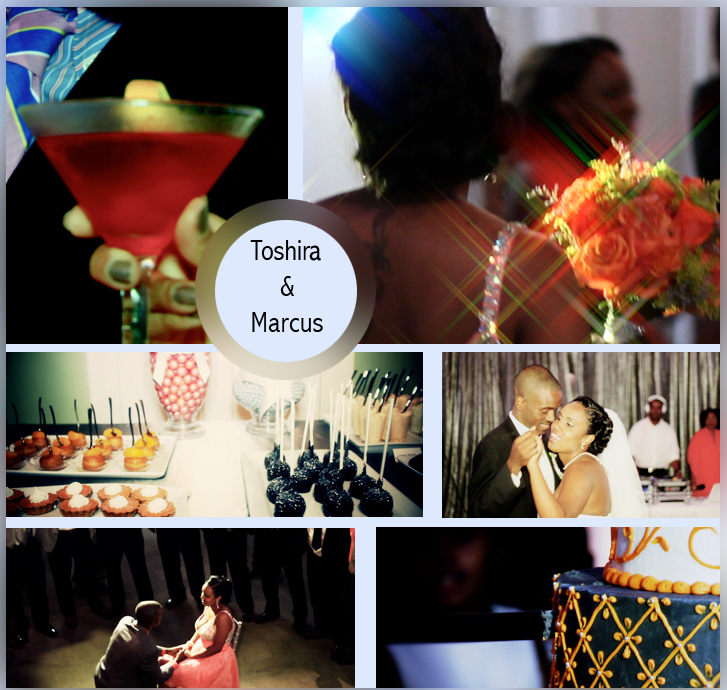 We were honored to be a part of Toshira and Marcus's special day. We enjoyed working with the vendors listed below the film. Enjoy the sneak peek short film below, set to Marcus and Toshira's first dance song, "Lost Without You" by Robin Thicke. Lovely!! Would love to see the whole ceremony on video!!! I am very impressed by this beautiful wedding. I hope to see the video when it's completed. Cheers!